Redbox is great because you can rent a DVD for $1. Only problem is, the DVDs usually are so cheap, they skip. Se la vie. 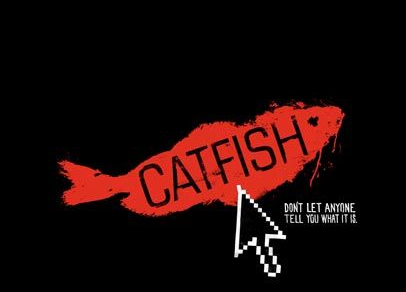 Catfish is supposed to be a documentary about a young photographer, Nev who starts getting artwork in the mail from an 8 year old. She paints the pictures he takes and has published in various newspapers and magazines in New York City. His friends see this going on and they decide to make a "documentary." This is not a true documentary. There are various aspects that are obviously staged and I have to believe a guy in New York City in the crux of his media career would not be so gullible to fall for the clear online "scam." Soon, all of Abby's family "friends" Nev on Facebook (her brother, her older sister, her mom and her dad). Does Nev think this is strange? Nope. And he talks with the mom on the phone often. In one early phone conversation we overhear the mother (Angela) telling Nev that some of Abby's paintings sell for $7,000. No way. We see the paintings that she sends to Nev and they are not that good, maybe for an 8 year old but hardly worth $7,000. Nev finds out that not only is Abby's family all artists, they're all fabulous musicians too. The break comes when he starts to fall in love with Megan, Abby's older sister. He has never met her, talked to her on the phone a couple of times and sees professional photos of her on her Facebook page. Does she have real friends on Facebook? We don't know. Does she have normal photos with the family on Facebook? No. This suave New Yorker doesn't notice any of this? Hard for me to believe. He then finds out Megan has recorded songs for him... a quick search on YouTube shows they are just ripped off from others and not her work at all. Guess what? The "documentary" continues from there. Nev still believes there is a Megan but she just lies about the music. ??? The crew decides to confront the family and Angela who they now think (ding! ding!) is lying to them. They go to Michigan. Abby is a real 8 year old but admits she doesn't paint. Do they confront Angela at this point? No. They keep the ruse going and Nev still believes there is a Megan but when they go to her house, his postcards are in the mailbox and there is no horse farm. This was a pretty good movie but very slow once they meet the real Angela. This is not a documentary though. I think they found someone online who would play the part and gets a cut of profits. Angela did interview on national television to say the story is real. But come on, that has to be part of the movie contract. Excellent movie. The acting is amazing, the story line believable and the darkness of the situation is captured so well that the viewer is left with an aching heart. To my great surprise, though, the writer managed to end the film on a high note. 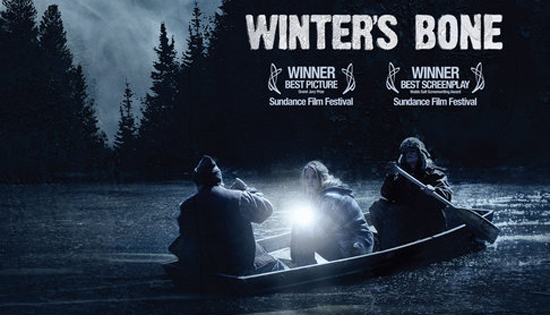 Not for the faint of heart and certainly not for romantic comedy lovers, Winter's Bone is a movie about survival in rural areas that are charred by poverty. Specifically set in the Ozarks, the main character is 17, the care taker of her 2 young siblings and her mother who is a drug addict. She's on a hunt for her father because he put the house (their only home and means of survival) up on his bond release. Authorities are looking for him and say if she can find him alive or prove that he is dead, they can keep the house. Family feuds are alive and well in this part of the grey mountains. Cousins kill cousins and sometimes officers are in on it. Everyone seems to know everyone but there is a great deal of love loss - even between neighbors. Although poor, most people in the movie regularly partake in drug use (weed, cocaine, pills, prescription pills) and they all have guns. It seems there isn't much else to do and guns and drugs take away the sting of hunger, loss of hope and give a false sense of control. This movie is good because it is extremely believable. The main character is on a mission to save her family and she has to go through hell and back suffering unbelievable things to get there. There is also a thread of loyalty and commitment to family that helps Winter's Bone end on an uplifting scene. I think you'll like it but it is certainly not a feel-good flick. I heard this is a great movie. Thanks for your review! I think I'll try to see it next week. Michiel - let me know what you think! Which one did you see?